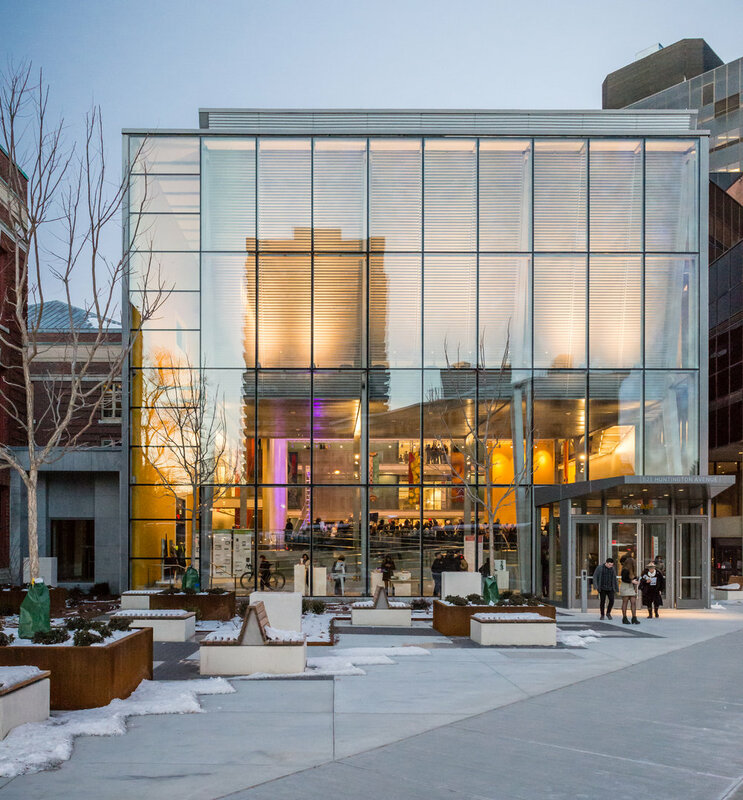 MassArt’s new Center for Design+ Media creates a prominent and transparent entry for the campus along Boston’s Avenue of the Arts. Centrally located, the new entry provides a clear front door to the campus, connecting multiple art and design departments. The landscape design is inspired by the “digital” artistic media of this new center, transforming the geometries of two adjacent buildings into a pixelated garden to move through and to sit within. The grading of the site allows for universal movement in all directions. The plant palette was imagined as a tapestry of green perennials and shrubs. Sculptural pedestals provide opportunities for the temporary exhibition of student work. Corten steel planters and wooden seating benches punctuate the green tapestry of the garden, while three small Redbud trees and three large Kentucky Coffee trees complete the overall sculptural composition.